Lane Raglan time, that is! Can you tell that I love this pattern? 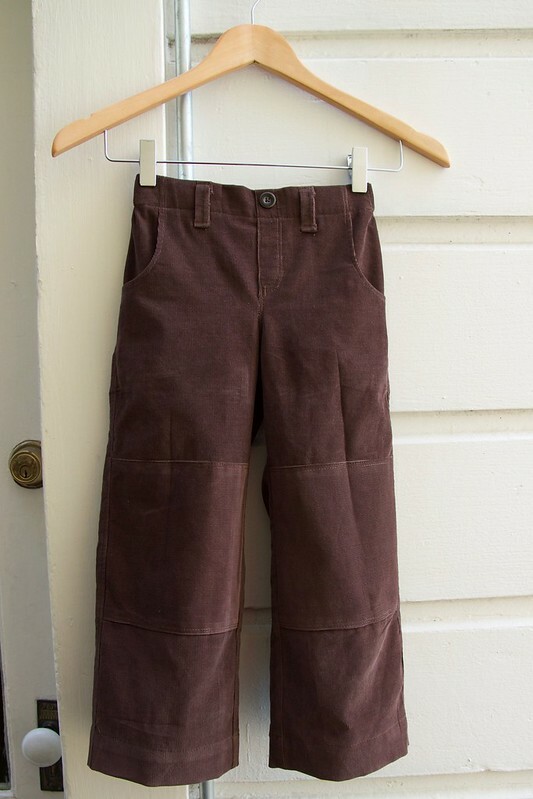 Nothing quite says fall to me like corduroy…so what better way to start off the season than with a pair of comfy corduroy pants for The Boy? 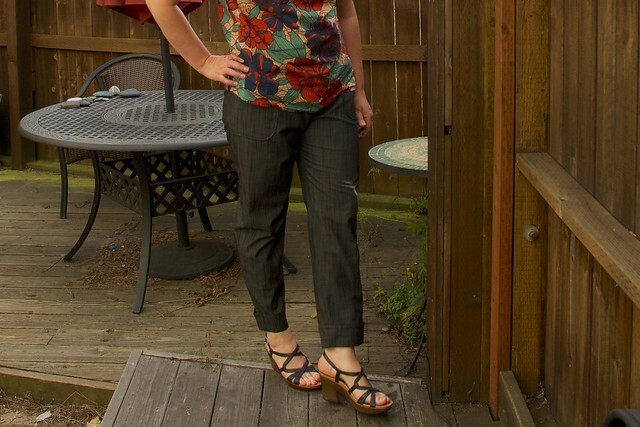 I turned once again to my tried n’ true kids pants pattern, the Parsley Pants from Made by Rae. I love this pattern because it fits well, is easy to make, and it’s so versatile. 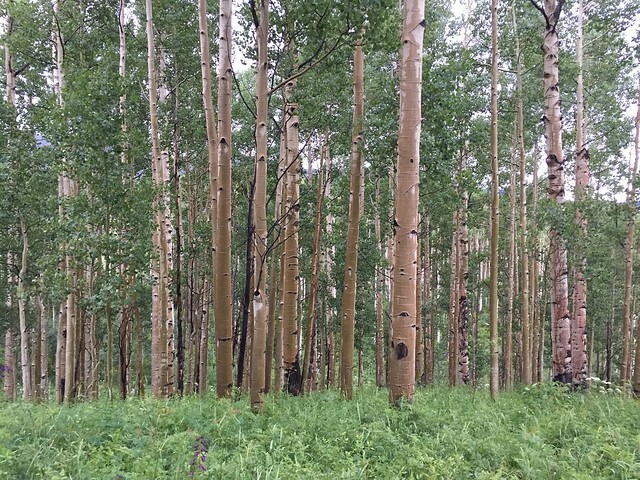 Although it’s advertised as a pattern for wovens, I have made many many pairs in knit fabrics – everything from interlock to jersey to sweatshirt fleece to polar fleece to french terry. 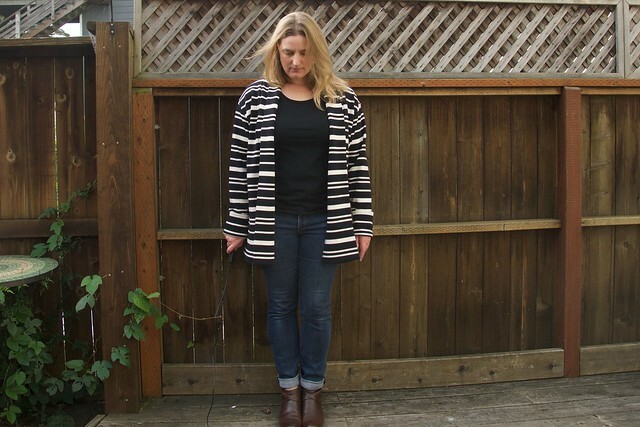 But every once in a while I go back to wovens for this pattern – and I’m particularly fond of corduroy! I found this fabric at my local discount fabric shop – it’s a lighter weight corduroy that is really quite soft, so it’s just as comfortable as the knit pants I usually make for The Boy (who is extremely picky about such things I might add). 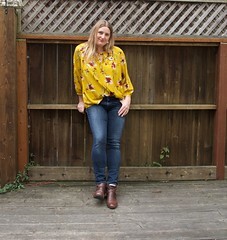 After a summer of making Renfrew tees, I was in the market for a new tee shirt pattern. Raglan tee? Yes, please. 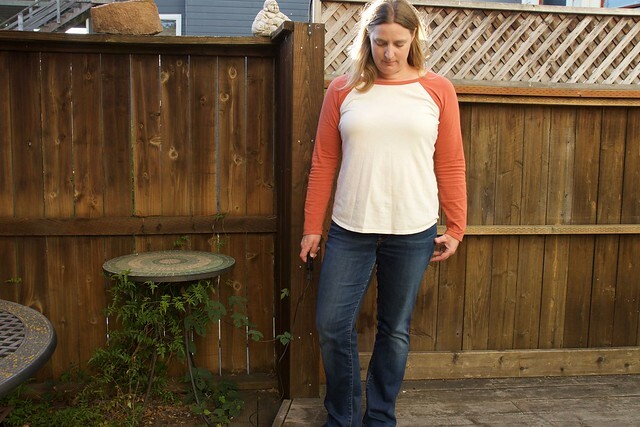 I made my first version as a classic baseball tee using organic cotton jersey. The orange-ish colored fabric was leftover from one of my Renfrews – a nice stash-busting perk! 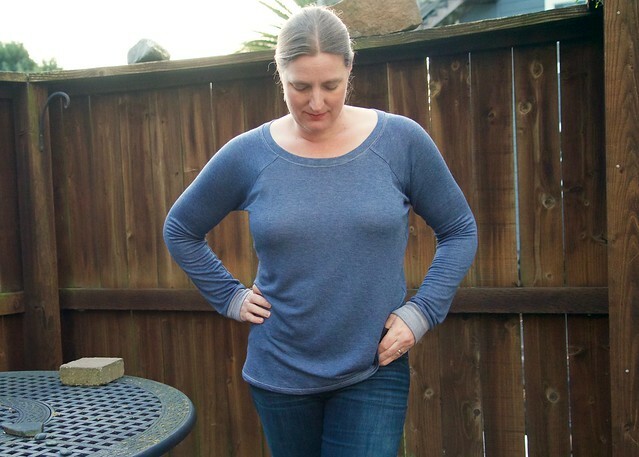 I just barely squeezed the sleeves and neckband out of my remnant – in fact I had to cut the neckband as two pieces, so it has two seams (one at each shoulder). I sewed this entirely with my regular sewing machine using a ballpoint needle and a twin stretch needle for hemming. 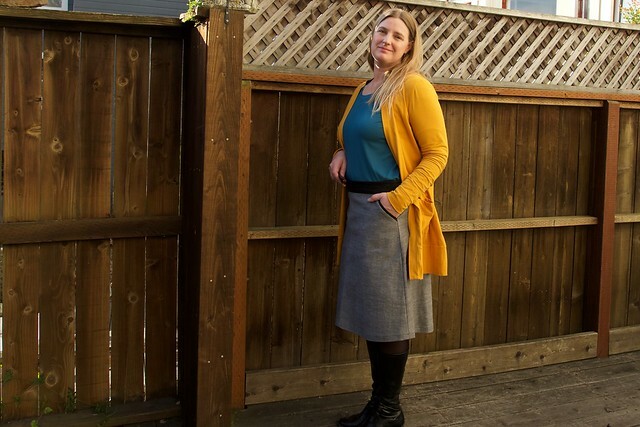 I am finally getting around to posting the very last in my series of Fall Sewing posts – a Hollyburn skirt that I finished just before the official end of Fall and beginning of Winter. 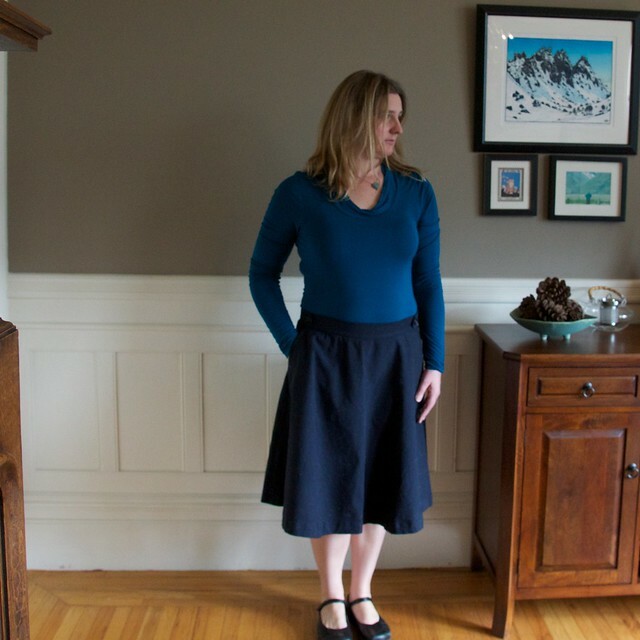 After my hopes of making a Colette Beignet skirt in blue corduroy fell through, I decided to make this Hollyburn instead. 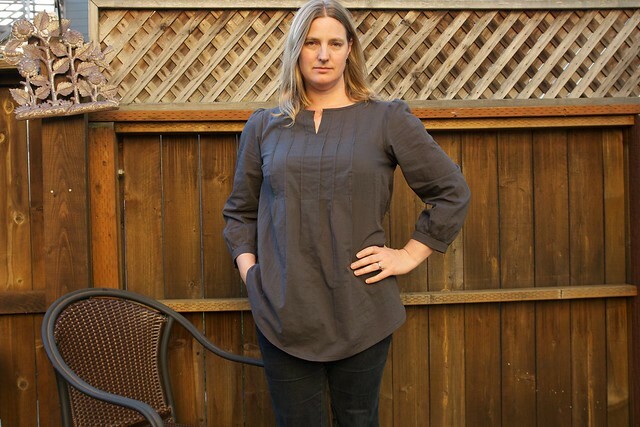 Ok, I must admit that this pattern is way easier than the Beignet pattern …quick rundown: Beignet is fully lined, fitted, and has 12 buttons down the front; Hollyburn is unlined, fitted only at the waist, and no buttons (but one zipper). I made the view B length (medium length), with the button tabs. It’s a straightforward pattern with nice simple, clear instructions. And that’s why I managed to finish it so quickly. I made this a while ago, but was so disappointed that I just hid it in a corner of my closet for a while, but now I’m ready to share. Apologies in advance for the dark and grainy photos – it’s cold and dark outside and I just wanted to take these quick. 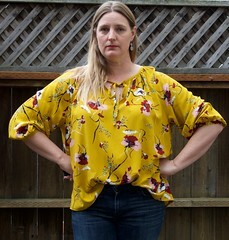 I made yet another Josephine blouse…and I think this might be my favorite one yet. This is the release-tuck version that I’ve been dreaming about forever, and I’m so glad I finally made it.